Want to get paid every week and get benefits too? Want to get full time hours? Luttrell Staffing Group of Schaumburg is hiring for Warehouse | Packer | Assembly positions at a food packing company in Geneva, Streamwood, and Batavia, IL! Full Time + Benefits, Paid weekly. No Experience Required! Interested? Click the link to apply then call our office at (847)278-7727 to schedule your interview! 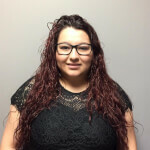 Janet started with Luttrell Staffing Group-Schaumburg in 2015 as an Admin Assistant/Recruiter. She moved to her current role of Staffing Manager in 2016. Before coming to Luttrell Staffing, Janet was a dispatcher for a roofing/trucking company.